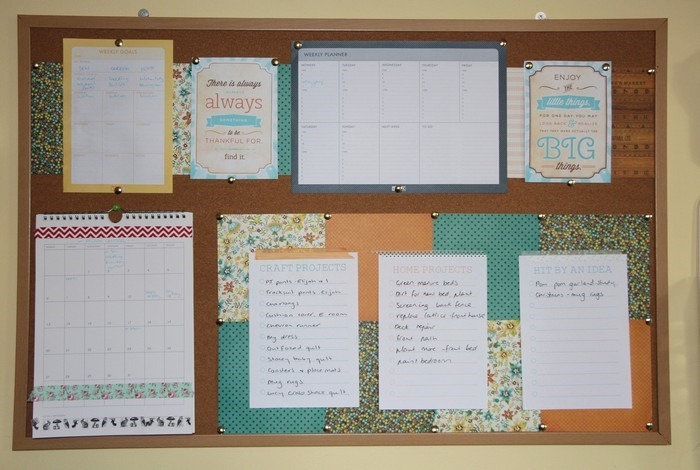 In a never ending effort to become more organised I put up a new pin board in my craft room. On it is my weekly goals, weekly planner, monthly calendar, craft projects underway, home projects underway, and a list for ideas. I’m pretty pleased with the result. Now I just need to use it! The inspirational printables can be found here at Hostess with the Mostess.